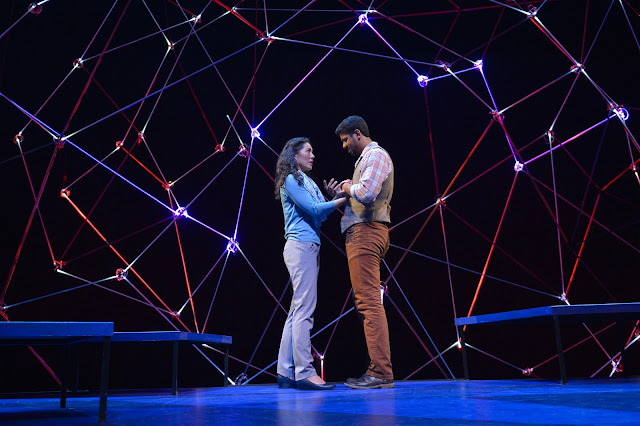 You can't begin to discuss Nick Payne's "Constellations" without mentioning the set. Like an astral jungle gym, the twinkling lights change as each scene-let changes, to let us know that the characters may be speaking the same dialogue as a moment ago, but their situation has changed. It is a brilliant way to discuss string theory -- that is, the world of parallel universes, each of them real, each existing at the same moment in time. Roland (Robert Gilbert) has gotten nowhere with his come-on at the barbecue to Marianne (Carrie Kawa) -- she is married. Switch flashing lights, change positions on stage and here comes Roland's come-on again -- this time she's got a boy friend. Switch again -- it works! She likes him! All these outcomes can occur simultaneously in our universe of surprises. This conceit works well for most of the show. 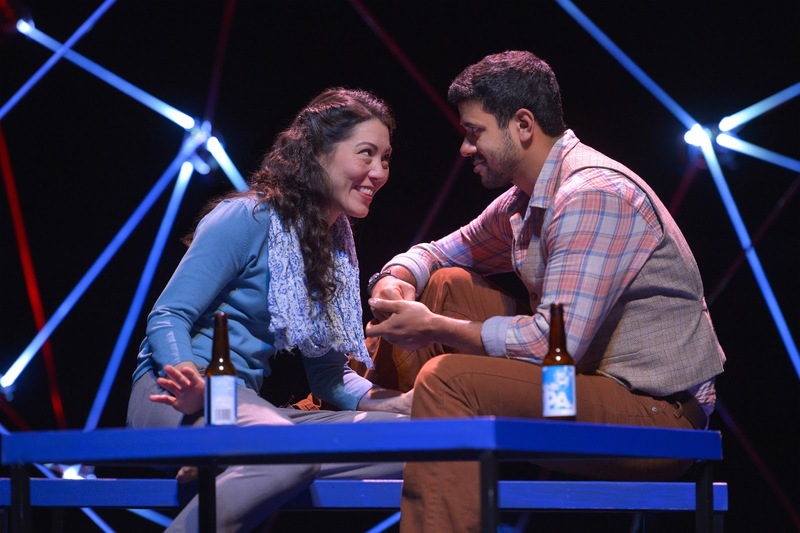 Gilbert and Kawa rely on voice, on body language and even sign language at one point. This latter usage strains credibility somewhat -- the beekeeper and the physicist are amazing quick-study linguists, no? 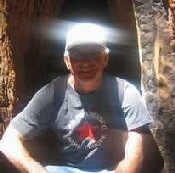 -- but it is a pleasure to see so many tools come out of these fine actors' toolboxes. Our problem is not logical but theatrical. The story demands emotion from actors that feels staged in a world where nothing lasts longer than a minute. We've got the idea -- the tragedy that will soon be upon them -- but we're not convinced. 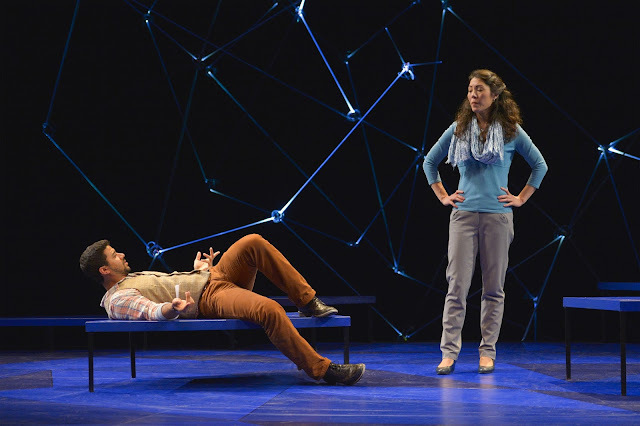 In many ways "Constellations" is brilliant -- but it also feels somewhat gimmicky. In the end, we believe Marianne more than Roland. We wish he would back off a bit. 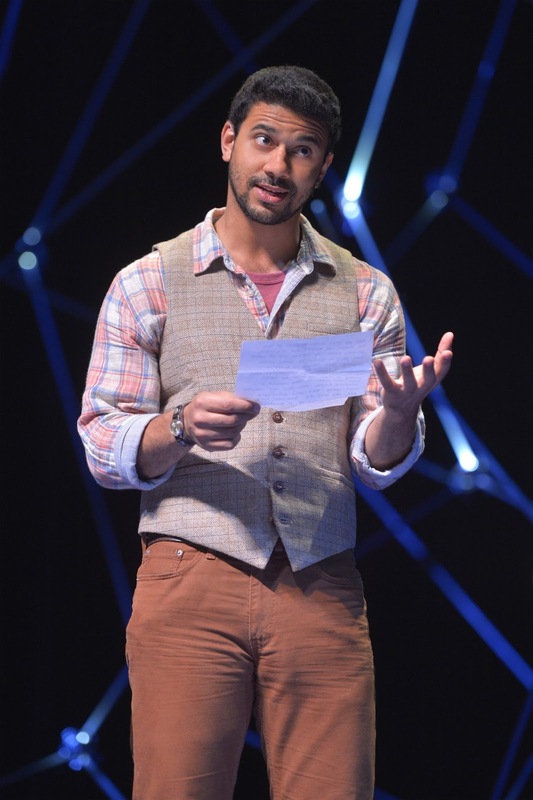 He comes off as a bit of a bumpkin in a play about physics and love. The San Francisco Theater Blog always treasures plays about Science. 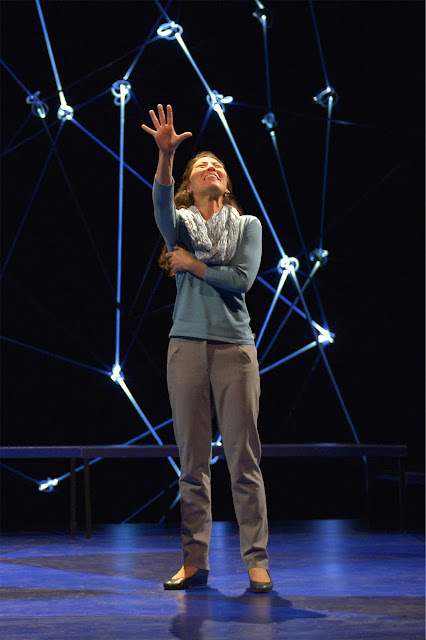 We will grant "Constellations" THREE STARS with a BANGLE OF PRAISE for staging and the intelligence of Payne's writing. It is a fascinating show and one you will enjoy.